Are you making plans for a Groesbeck bathroom remodeling project? Now that the holidays are wrapping up, it’s the perfect time to begin thinking about your next home renovation project. If you’ve been dreaming about a bathroom update, don’t put it off any longer. Contact a home remodeling company in Groesbeck for the professional service you need. There are a few things you should do before hiring a contractor, however. Here’s a short to-do list to help you prepare for bathroom remodeling in Groesbeck. Having an idea in your head is very different from having design plans down on paper. Before meeting with your contractor, take some time to design and draw out the vision you have for your bathroom remodeling project in Groesbeck. In preparation for your bathroom remodeling project in Groesbeck, you should find out if a permit is required. Generally, you’ll need a permit if there will be structural changes to your home and if the project will affect the plumbing or electric. 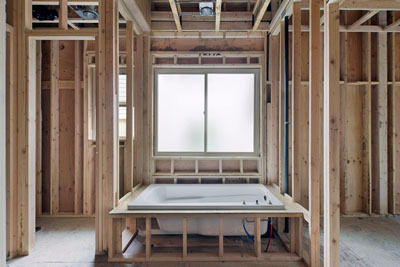 It’s not uncommon to need a permit for both bathroom and kitchen remodeling. The sooner you can start making decisions, the better. Generate a list of “must-haves” for your Groesbeck bathroom remodeling project. Include the types of materials you want to utilize for our design. Need Professional Assistance with Your Groesbeck Bathroom Remodeling Project? Are you looking for a professional contractor to assist you with your bathroom remodeling project in Groesbeck? Search no more! DreamMaker Bath & Kitchen of Waco, Texas offers a wide variety of services and specializes in both bathroom and kitchen remodeling. Visit our website for more information or to sign up for a free consultation. You can also call (254) 218­–3270 to speak with a representative about your Groesbeck bathroom remodeling project today! Serving the communities of Gatesville, Whitney, and Lorena. We also serve China Spring, Woodway, Hillsboro, Hewitt, Groesbeck, Robinson, West, McGregor, and Crawford. How Can I Update My Split-Level House? Triangles vs. Zones: Which Kitchen Layout Makes More Sense?